PIL was filed against illegal digging of sand. VIJAYAWADA: The National Green Tribunal (NGT) fined the Andhra Pradesh government of Rs 100 crore for the illegal digging of sand from the Krishna river. The well-known farmers’ leader of the Amaravati capital region, Anumolu Gandhi, and water conservationist Rajendra Singh (popularly known as the Waterman of India), had filed a public interest litigation in the NGT objecting to the heedless digging of sand from the Krishna river as it is dangerous to the environment. Most of the sand mining on the banks of the Krishna takes place at Venkatapalem, near the residence of the Chief Minister, N. Chandrababu Naidu, and in adjacent areas and riverbed villages. Mr Rajendra Singh had visited the Amaravati capital region last year and observed the sand digging. In March 2018, he and Mr Anumolu Gandhi filed a public interest litigation to stop this illegal and harmful activity. Mr Gandhi told Deccan Chronicle that hundreds of trucks transport the sand from the banks of the Krishna, which endangers the riverbed and the environment generally. A majority of Amaravati’s roads have been eroded by the sand trucks plying on them. 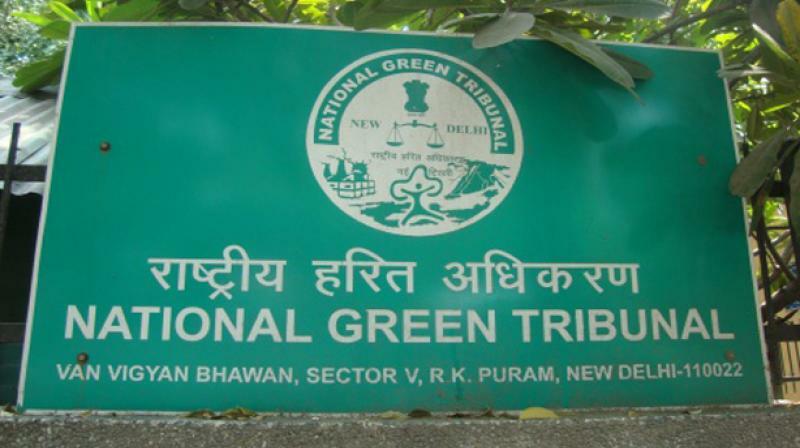 Responding to the PIL, the NGT appointed a committee to look into the matter. The committee's report was duly submitted to the NGT, which imposed the Rs 100 crore fine. The Tribunal took serious exception on using the heavy machinery for excavating sand from the river though there was prohibition on using the heavy machinery like dredgers and proclaines which would cause severe damage to the course of the river. The petitioners alleged that the state government was excavating the sand in the name of dredging of the river. Welcoming the verdict, Mr Gandhi sought immediate stopping of illegal sand digging.